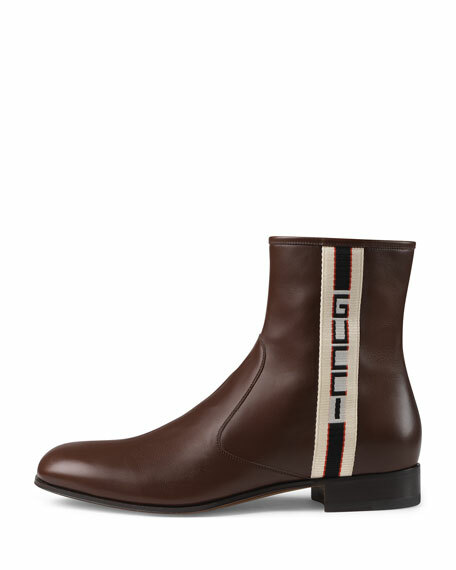 Gucci boots in soft calfskin leather. "Bonnie" is made in Italy. Gucci trekking boot in leather, technical canvas, and suede. 2" chunky heel with platform. Reinforced round toe with logo. Lace-up vamp. Rubber Gucci game patch at tongue. Perforated padded top collar. Leather lining. Rubber outsole. "FlashTrek" is made in Italy. 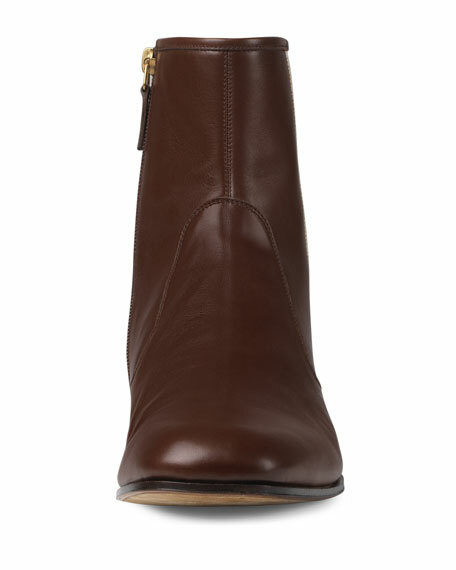 Gucci ankle boot in leather. Ankle strap with king snake buckle. 1" heel height. Brogue mirrored GG detail. Leather sole. 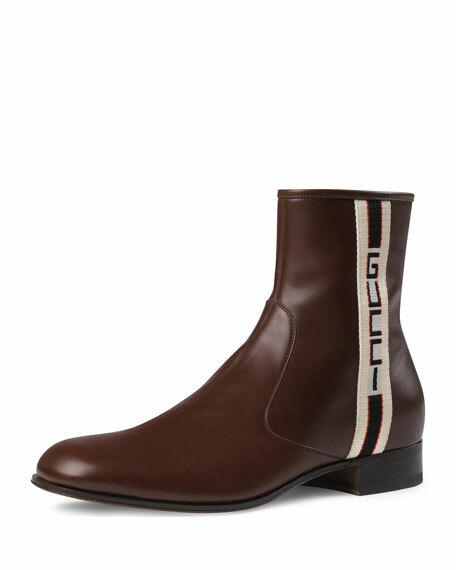 Gucci ankle boot in leather. Ankle strap with king snake buckle. 1" heel height. Brogue mirrored GG detail. Leather sole. "Dionysus" is made in Italy.